Chippewa has helped to create a new standard for quality work footwear. By combining excellent materials and skilled craftsmanship they introduce to you the Chippewa Men's 73040 Insulated Steel Toe EH Logger Boots. This stylish men's footwear offers the comfort of ... (see full details) (see specifications) #CHP73040. 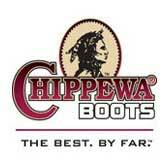 Chippewa has helped to create a new standard for quality work footwear. By combining excellent materials and skilled craftsmanship they introduce to you the Chippewa Men's 73040 Insulated Steel Toe EH Logger Boots. This stylish men's footwear offers the comfort of men's shoes with the performance of a heavy-duty steel toe boots. Lightweight and dependable, you'll want to have these 8-inch boots with you everywhere you go. The men's boots are equipped with 400 grams of 3M Thinsulate Ultra insulation, ideal for cold conditions with moderate activity level. Warmer than other types of insulation, this highly developed technology is thin and lightweight. Another outstanding advantage of this technology is that it'll help keep you warm, even in wet environments. To conquer internal moisture these cozy, insulated footwear, they're lined with brushed Ruby nylex lining for a rapid moisture release technology. Together these features combine to give you maximum comfort. Warmth and comfort aren't the only things these tan boots have to offer. With the ASTM-rated safety toe rating and electrical hazard certification, the steel toe boots will keep you safe from a variety of workplace hazards. This means your toes are kept safe from heavy falling and rolling objects, and you have overall protection against open circuits up to 600 volts. This kind of protection meets the standards set forth by most companies and will give you peace of mind. These golden tan nubuck leather boots feature Vibram one-piece yellow lug rubber outsoles attached with Goodyear Welt construction. Durable and long lasting, these components work together to help maintain lateral stability and provide excellent traction. Steel shanks and 4 iron rubber/6 iron robus combination midsoles help give you the stability you need to keep working hard. Antique brass hardware that's non-tarnishable and heavy duty wax Sta-tied laces will keep your feet secure inside. When you need protection and comfort, you'll find both and more in the Chippewa Men's 73040 Steel Toe Insulated EH Boots. Order your pair online from the Working Person's Store today. I am in construction and have tried many different brands of boots over the years. The Chippewa 8 inch steel toe boot has been the most durable and comfortable boot I have owned by far. I strongly reccomend them. my review pertains to the description of the product here online. Nowhere did I see what country they were manufactured in, and I was originally directed to this website by searching American Made Shoes. So if you are looking for american made shoes be sure you only select from their small offerings. Mostly postal type shoes. I made the mistake of buying these shoes thinking they were made in America, only to find out they were made in China.The quality I can't complain too much about but felt like I was fooled into getting them. Chippewa Boots: Men's 8 Inch 73040 Insulated EH Steel Toe Logger Work Boots is being added to your cart.